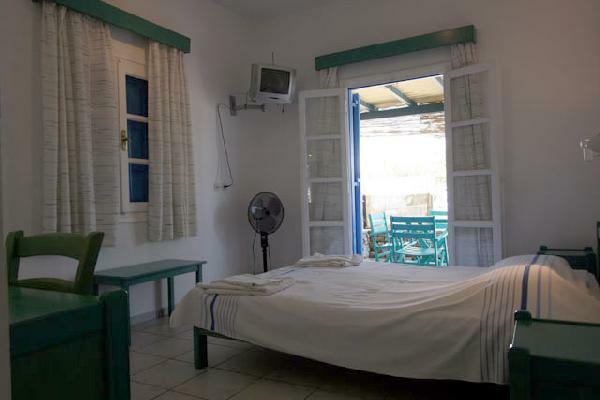 VICTORIA Studios-Apartments is a small tourist unit, situated on Parthena's beach in Mikri Vigla on Naxos island. It consists of three independent buildings with twenty-six one or two-roomed studios. Each one of them is fully equipped, with spacious verandas and great view to the sea. We welcome you to Mikri Vigla on Naxos island. Situated on the South-West of Naxos, 18 km from the harbor and the airport, and it is considered one of the most beautiful Aegean areas. It is suitable for quiet family holidays and windsurfing lovers. Two unique beaches, those of Parthena, in the North and Sahara in the South, are waiting for you. VICTORIA Studios-Apartments is a small tourist unit which consists of three different buildings, with a total of 26 rooms. Each one of them is fully-equipped with kitchen facilities and big verandas or balcony overlooking the sea. 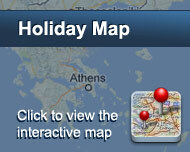 VICTORIA Studios-Apartments are located on the beach of Parthena. With its white, thick sand, it is considered one of the most beautiful Mediterranean beaches. Calm or wavy, it is ideal for water sports or swimming. In close distance, just opposite the beach, there is a small island with the picturesque little church of Panagia. Additionally, children can take advantage of the spacious surroundings, enjoy the little playground, lie and play in the clean sand without any worry, without any danger or noise from passing vehicles. Thus, parents realize from the very first moment that they have found a rare resort, where they can relax and enjoy their holidays, free from the stress of watching their children's moves all the time. Furthermore, windsurfers who will visit Victoria Studios, will discover an ideal place to enjoy their favorite hobby. There are many days of strong winds from 5 to 8 beau forts, lots of space to leave their equipment and transfer it easily and fast from their room, because the studios are almost onto the sea. Είστε ιδιοκτήτης ή διευθυντής στο VICTORIA Studios-Apartments; Εγγραφείτε τώρα για δωρεάν εργαλεία, που μπορείτε να χρησιμοποιήσετε για να βελτιώσετε την καταχώρησή σας και να συνδέσετε την ιστοσελίδα σας και το σύστημα κρατήσεών σας.